People who produce their own wines, or even just pickles, are well aware that there is no better container than a wooden barrel. Why? First, wood is an environmentally friendly material, secondly, wines contain alcohol, which means that interacting with synthetic materials, such as plastic or capron, it can dissolve the chemical composition of the container, and it will mix with the components of the wine. The manufacturing process of an oak barrel is not complicated, but it requires strict adherence to the instructions, accuracy and care. 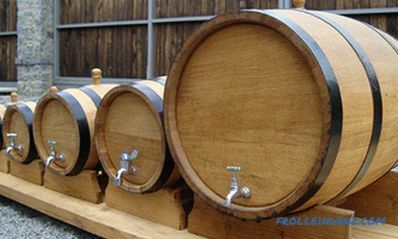 It is not a problem to buy a barrel, but if there is a desire and the owner of a home winery chooses for quality, then a wooden barrel with his own hands will be the main proof that wine and brandy are made using the right technology. 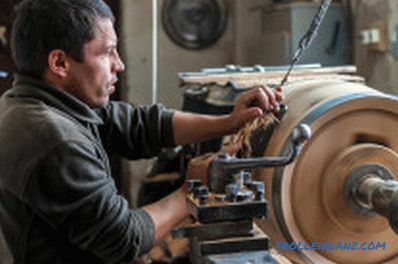 In addition, the manufacture of wooden barrels - the process is time consuming and long, but without wisdom. 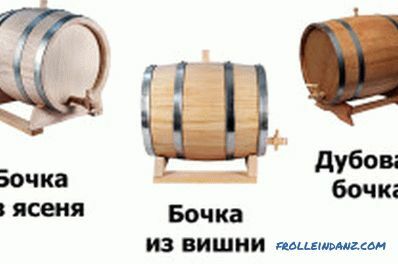 Oak, ash and cherry are considered the most suitable trees for the production of barrels from them. 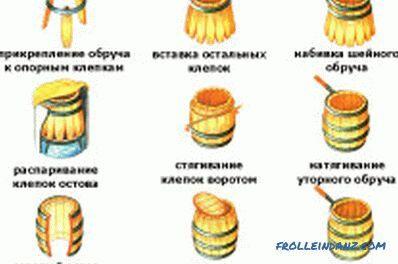 It is well known that oak will be the most reliable material for making wooden barrels. It is suitable for both wines and brandies, and for pickles. 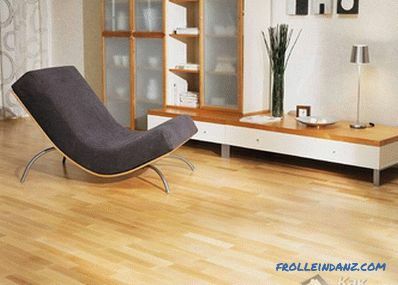 Oak - a natural antiseptic, oxide and mold will not occur there. But if this is a problem, you can change the oak for cherry or ash - these trees contain prussic acid, which also will not allow the development of disease causing organisms, although their properties are weaker than those of oak. Do not be afraid that the acid gets into the products: firstly, the barrel is thoroughly soaked before pouring the wines, and secondly, a certain percentage of hydrocyanic acid is contained in the wines themselves, it is not dangerous for the body. Wood calculation. The boards, called riveting, have biconvex sides to give a cooper product a convexity. To make them so, you need to take the lower part of the trunk of the tree and split it with the likeness of chopping wood. If it is carefully cut, then the natural integrity of the fibers is broken, which is bad for such a product. Immediately proceed to figure cutting is not worth it - you need to dry logs for 2 months. And to dry not under the scorching sun, but in a dark cool room. Schematic representation of the riveting process. The processing of logs for future barrels is done with a planer. By giving them the desired shape, the top and bottom should be made thicker than the middle. How much - the owner decides. Usually it is 1.5 cm. 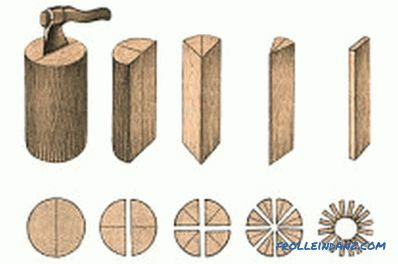 The movements with a plane increase to the middle of the log, then you can get a shape like that of classic barrels. Basically, the shape of the barrels can be given any - pot-bellied, well, trapezoid. The main thing is to do everything right. Preparation of fastening hoops. They can be both iron and wood. Wood has advantages in beauty, protection against corrosion, but not as strong as iron, and it will be important for the owner of the wine cellar to save wines and barrels, including from mechanical damage. Therefore, iron is preferable. So, stainless steel is cut into strips, for better bonding it can be forged at the joints with each other. After that, the ends are punched with holes for nails that will play the role of rivets. Packing finished hoops and preparing the skeleton. To small hoops in diameter with the help of clamps hook three prepared boards. You need to arrange them at the same distance from each other. If the calculation was correct, the remaining boards will go right along. After full insertion, using a hammer and nozzle, you should besiege the hoops until they can not be removed. By tapping from opposite ends, you can achieve a good effect. Schematic representation of the barrel assembly sequence. But you can't overdo it: boards made in a long way are cracked, you have to start the process all over again. Also, prepared dies can crack from long drying. This is how one edge of the barrel is prepared. The hoop of larger diameter must be worn immediately after the first edge, acting with a hammer. Now it's the turn of the second edge: the blank is soared for a long time before mounting the second end. 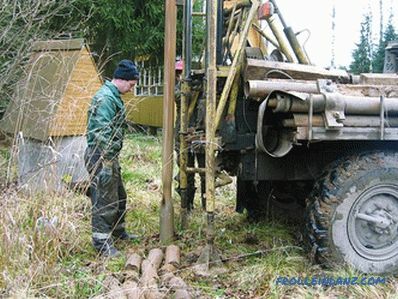 This is done so that the tree becomes soft and supple. After that, the workpiece is turned upside down with the open side and a rope is thrown on the steamed tree, which is twisted so that the ends of the rivets converge. Without releasing the rope, you need to wear a hoop. Such work is not done alone - someone twists the rope, and someone puts on a hoop. When the core is ready, it is quenched. There are many ways, mostly firing. At the same time, the smell and astringency of burnt wood will be transferred to the wine, which will also be appreciated. It is done this way: on the side of the finished skeleton they put the shavings of some fruit tree - preferably cherry. Set on fire and slowly roll from side to side for even smoldering. 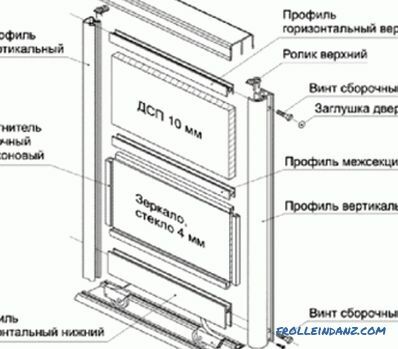 It is not necessary to plant bonfires inside the billet, because of inexperience it is possible to burn the product.You can not use any kind of liquids for ignition - they contain chemical elements in their composition, which the tree will absorb. You can use a blowtorch, but with caution - a strong fire can leave undetected smoldering in the skeleton, causing the product to burn. The final step in creating a barrel is to grind it from the outside, drill holes for the bay, and cut through the bottom of the gutter. Next, the manufacturing process of the barrel is as follows: the workpiece is machined with a tool - they cut off the uneven ends, grind the outside, drill a hole for the bay and cut through the gutters for the bottoms. The bottom of the barrels are two circles, cut from the similarity of shields. Shields are prepared as follows: boards overlap together and are additionally fastened with staples. Circles sharpened so that their edges go into a bevel. 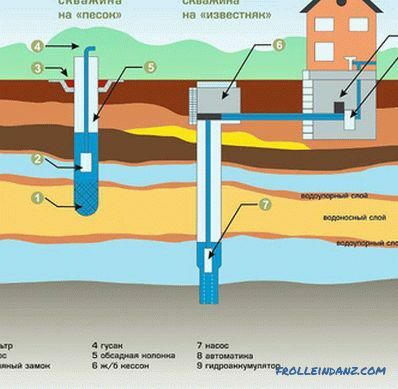 It is necessary to accurately calculate the diameter of the bottom. This is done after the final assembly of the core, because it will not work right away. Then the bottoms are inserted, by loosening the extreme hoops. After inserting one, you need to re-fill the hoop, then do the same with the second bottom. Check for tightness. Naturally, the barrel is tested with liquid, that is, water. It will flow at first until the tree swells. It takes time for the barrel to stop leaking, no more than an hour. If it still flows, you need to find a gap and seal it. Coopers use reed stalks for such purposes. They are caulked between the rivets with a sharp and thin object, for example, a knife. In addition, you can cover the barrel outside - with wax. Only you need to take really bee - the products should not be with chemistry. After the manufacture of the barrel is almost completed - it is hardened, burnt and checked for tightness, it is soared or allowed to stand with water, so that all foreign odors that wine can take over are left from the tree. The inner surface of the barrel can be treated with hydrogen peroxide or potassium permanganate. It’s easy to make a barrel with your own hands if you follow the recommendations carefully. Caring for it is extremely simple - you need to steam it or boil it regularly, and then dry it very carefully if its use is delayed. Another important rule: if the barrel is intended for liquid products - brines, alcohol or water, then it cannot be left dry for a long time. 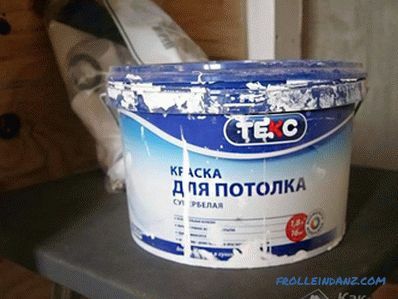 If it is used for storage of dry products, it can not be wetted.